In the preceding part of this article, you have read about the establishment of the China Inland Mission under Hudson Taylor, as well as its various successes and challenges that shaped it to be what it was by the turn of the 20th century. Indeed, Taylor’s principle of “faith missions” in all of CIM’s undertakings became the missionary society’s ultimate propeller in bringing it to the forefront of Protestant Christian missions in the late Qing Dynasty. Amidst all of the CIM’s successes in the missionary field throughout the decades that followed its nadir in 1874, none stood out more than the introduction and spread of the gospel in the northern highland province of Shanxi (山西, Shānxī). Francis James (秀耀春, Xiù Yàochūn) (1851 – 1900) and Joshua Turner (德治安, Dé Zhì’ān) were the first missionaries of the CIM who pioneered missionary work in the province. Having arrived in Shanxi in November 1876, they were greeted with a breathtaking scenery of grand mountains and valleys adorned with rich cultivation and self-sufficient villages in almost every corner of the region. Little did they know at that time, however, that the spectacular scenery of the entire region would soon turn into a ghastly sight of dying wastelands and disintegrating villages strewn with nothing but bones and death everywhere, as the 1876-1879 Great Famine of Northern China (丁戊奇荒, Dīngwù Qíhuāng) reared its ugly face throughout several provinces in northern China. Reaching the provincial capital of Taiyuan (太原, Tàiyuán) in April 1877, James and Turner were welcomed with similar heart-wrenching sights. Food became a luxury as the drought prolonged and drained the entire region of all viable crops. Despite all these, nothing was done to relieve the people’s sufferings, partially due to the indifference of the local authorities and partially due to a lack of proper roads and transportation systems. 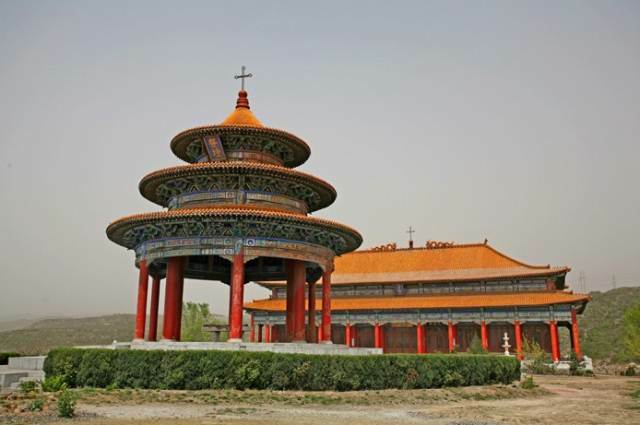 As far as the province of Shanxi was concerned, Protestant Christian missionaries were not the first Christian missionaries to have introduced the gospel to the local people. 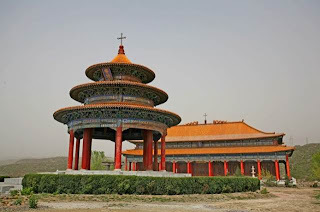 Dating as far back as the Tang Dynasty (唐朝, Táng Cháo) (618 – 907), Shanxi received significant influences from the various major faiths of the world, including Nestorian Christianity, as they were brought into Tang China through the Silk Road. 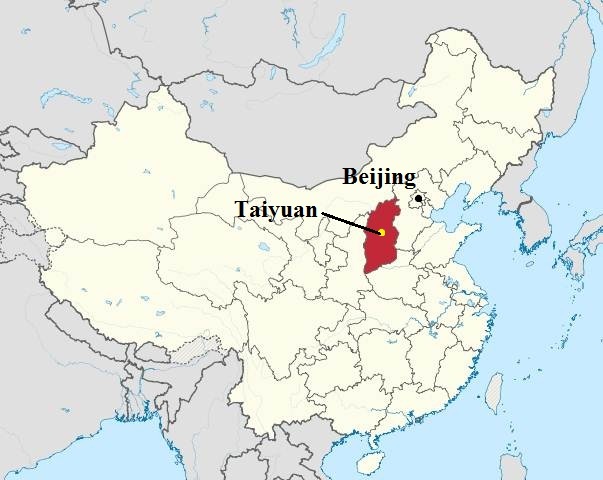 Catholic missionaries were also active in the province since the early 1700s, having reportedly converted 2000 people in the vicinity of Taiyuan. In spite of Emperor Qianlong’s proscription of Christianity in 1724, the Catholic Chinese population continued to grow, and strong Catholic communities persisted and flourished. In fact, even as far as Protestant Christian missionaries were concerned, James and Turner were not the only ones to have pioneered Protestant missions in Shanxi, as they were joined by such contemporaries as Timothy Richard (李提摩太, Lĭ Tímótài) (1845 – 1919) of the Baptist Missionary Society (BMS) and David Hill (李修善, Lĭ Xiūshàn) (1840 – 1896) of the English Wesleyan Methodist Society. In the face of such a severe famine, the Protestant missionaries decided that something should be done to relieve the suffering of the people. Richard took proactive steps in coordinating the delivery of food and money into Shanxi, and James, Turner and Hill also contributed their share of hard work and cooperation in coordinating and distributing relief to the suffering. They devoted nearly 2 years to active relief work, distributing food, money and basic supplies liberally to the suffering without expecting anyone to convert or join the church in return. When the famine receded in 1879, living conditions started to improve and the missionaries could then concentrate more of their time and energy in propagation of the gospel. 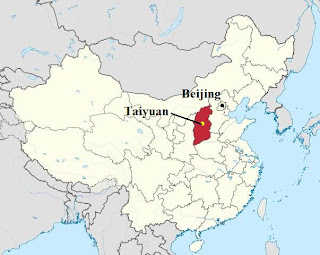 By mutual agreement, the BMS missionaries would concentrate their activities in the region north of Taiyuan, while the CIM missionaries covered the south. They frequently met, prayed, discussed missionary matters and planned missionary activities together in unison. 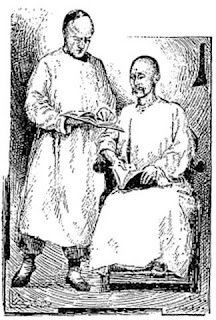 One unique feature regarding the methods used by the Protestant missionaries in Shanxi to propagate the gospel was the use of the Wordless Book. First employed by Protestant missionaries in Africa in 1877, it was then introduced amongst missionaries in Shanxi by Jeannie Taylor (1843 – 1904), Hudson Taylor’s wife. She first used it to introduce the gospel amongst Chinese women and young girls who were taught to sew for a living under the CIM in the aftermath of the famine. 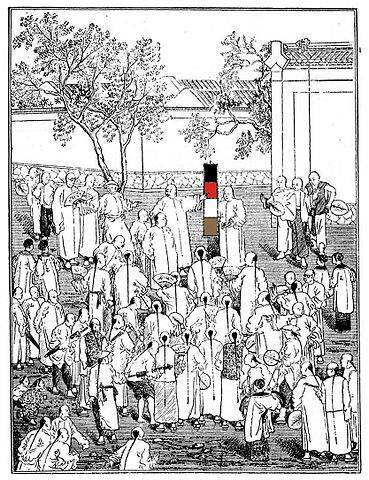 The use of the Wordless Book proved to be so popular and effective that other missionaries in China, beginning from Shanxi, soon utilized it in public preaching. Besides preaching and spreading the gospel, the missionaries were also actively involved in establishing schools, hospitals, orphanages and opium relief centres. 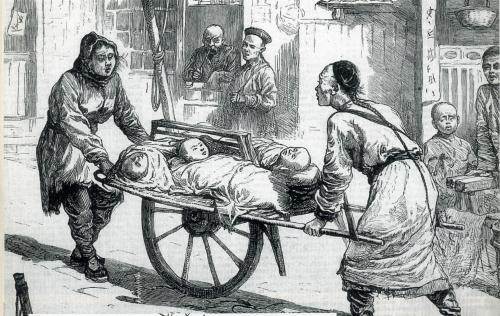 The aftermath of the famine left many homeless, jobless, parentless and without families, and many resorted to opium as an escape route from the harsh realities that faced them. 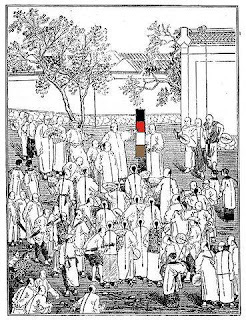 Large amounts of medicines to cure opium addiction were brought in by the missionaries to be distributed amongst the opium addicts, who were said to have formed a whopping 70 percent of the whole adult population in Taiyuan at that time. Schools and orphanages established by the missionaries became centres for providing basic education and training to the countless number of people who lost their jobs and means of living in the wake of the great famine. Richard, Hill and James paid much attention to spreading the gospel not only to the farming and working classes of society, but also to the aristocratic and scholarly. They distributed tracts and pamphlets regarding Christian philosophy and commentaries during such important events as the Chinese civil service exams held by the Qing government, where many scholars and learned individuals would gather. Although converts were not necessarily many all the time, the tracts and pamphlets were widely received and read by the scholarly class. In order to promote deeper understanding and interest for the gospel amongst the general public and the scholarly community in particular, Hill undertook a creative idea suggested by one of the new Chinese believers in Taiyuan. 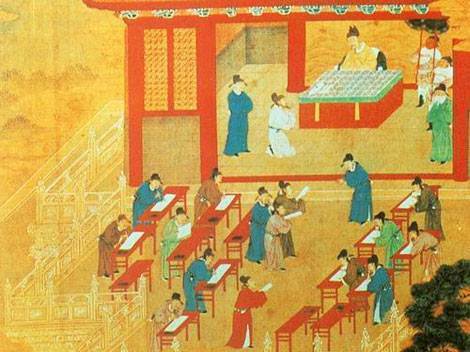 An essay contest was held, in which members of the public could write and send in essays that covered various open-ended topics and questions, such as The Source of True Doctrine (真道之源), Rewards and Punishments (赏善罚恶), The Regulation of the Heart (正心) and On Opium (大烟). Participants were required to write on these topics based on a Christian viewpoint and an understanding of biblical teachings, and the best essays would then win lucrative cash prizes. This new method of promoting the gospel soon became an instant success among the people. Hill received many enthusiastic entries, some of which were written with total disregard for the gospel, and others with varying degrees of understanding of biblical teachings. Some made attempts to relate those topics to Christian teachings, while others expounded them entirely based on Confucian or Buddhist philosophies. 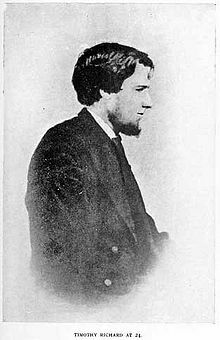 Out of all the entries received, Hill finally selected four essays that he felt were most well-written from a Christian standpoint. Three of these were written by a single person under different pseudonyms, and that person was none other than Xi Zizhi (席子直, Xí Zizhí) (1836 – 1896), who later became the renowned and venerated Pastor Xi of Shanxi. 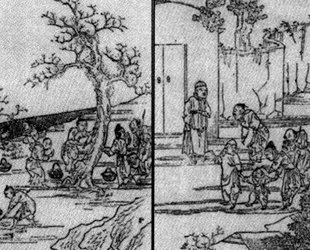 Xi was a broken-down Confucian scholar who had been under the influence of opium for quite some time, having tried to break his addiction several times but to no avail. 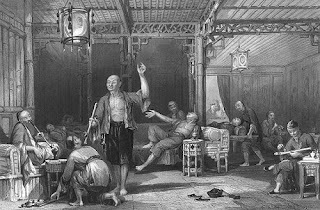 He had a strong resentment and suspicion for anything foreign in origin, for he believed that it was the Western powers’ fault for bringing opium into China and thus plaguing Chinese society with the curse of opium addiction. When Hill and the other Protestant missionaries made active efforts in spreading the gospel to the public, Xi was highly sceptical of the gospel’s message and distanced himself from the missionaries for fear of being bewitched by a “foreign religion.” Nonetheless, he was at the same time interested to know what Christianity had to offer in terms of its teachings, philosophies and outlook towards life issues, having read some of the Christian tracts and pamphlets that Hill distributed. In spite of his suspicions towards Christianity and his reluctance to meet Hill, Xi finally made the decision to meet the missionary in person to claim his prize. Far from what Xi had expected, Hill was a compassionate and kind gentleman who lived a holy life by example and not merely by words. He was greatly impressed by Hill’s kindly demeanour and godly character, which did not in any bit resemble his initial impressions of a typical devilish Westerner who sought to corrupt the culture and systems of China. Hill, on the other hand, was also impressed by Xi’s depth of knowledge as reflected in the essays that he wrote, and he saw a potential for the fallen scholar to regain his lustre and meaning in life once again. As a result of the meeting, Xi willingly took up Hill’s offer to become a translator and writer for Chinese Christian tracts and materials. Throughout the time he was working under Hill, Xi acquired a lot of knowledge regarding Christianity and the gospel. He felt that the more he studied the gospel and understood it, the more he felt a sense of meaning and hope in his poverty-stricken, opium-controlled life. He felt that Christianity gave him a sense of peace and inner joy that he had never been able to attain since his youth, and that the gospel had now given him a ray of light in his life of darkness. Not long after, he took the major step of becoming a Christian, thereafter declaring a personal war against his opium addiction. It was his toughest challenge, but he persevered with desperate and fervent prayer, and was finally able to completely break himself off the addiction. As a sign of his new born-again life, he took on a new name, Xi Shengmo (席胜魔, Xí Shèngmó), which literally means “Overcomer of Demons,” having overcame his past life of addiction, spiritual poverty and hopelessness with a renewed life of hope in Christ. Xi became a very active preacher and advocator of the gospel after his conversion and subsequent baptism. Being assertive and impulsive in temperament since his youth, his disposition now manifested itself as a firebrand preacher who was always eager to spread the gospel wherever he went. Frequent prayers and fasting coloured his new life, and he himself became an active missionary among his own people. Through devoted prayer and strict fasting, Pastor Xi was able to heal many of those who were demon-possessed or physically ill, and many came to him for healing and prayer. In the eyes of the Chinese who came to him, one thing stood out about the way in which he administered healing and exorcism – he relied on prayer, fasting and verbal commands in the name of Jesus (just like in the Bible) rather than gruesome methods such as blood-letting and self-mutilation that was customary for Taoist exorcists in their practices. 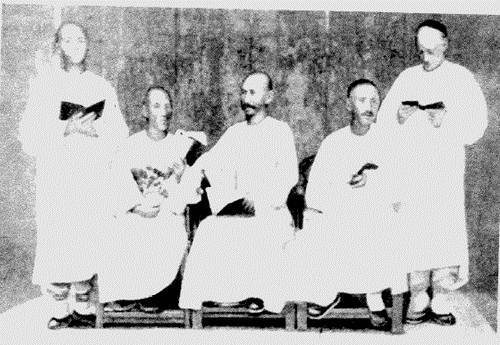 Pastor Xi embodied the very example of an independent Chinese Christian missionary of his era. In most of his missionary undertakings, he relied almost entirely on his own resources or benevolent offerings from Chinese Christians. 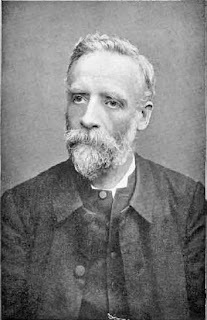 He solicited nothing from the Western missionaries except for occasional advice pertaining to theological questions, but he maintained a close relationship with them, especially with missionaries from the CIM. He was an active church-planter, having constructed several churches and established strong congregations throughout Shanxi without the aid of Western missionaries. Having been an opium addict himself, Pastor Xi also made curbing opium addiction a priority in his missionary efforts. He was instrumental in setting up numerous addiction centres in Shanxi and beyond, so much so that by 1906, that is 10 years after his death, there were as many as 45 treatment centres in four northern provinces that had managed to successfully treat an estimated 300,000 opium addicts. Pastor Xi’s approach to propagating the gospel and introducing Christianity to the Chinese was unparalleled by any other Western missionary in China during his era. Having studied Confucian literature as a scholar in the past, he came to the conclusion that Christianity was not a foreign doctrine, but rather a return to China’s ancient monotheism in traditional Chinese religion, in which the Chinese once worshipped a supreme deity known as Shangdi (上帝, Shàngdì). (Shangdi is in fact the term used to refer to God in many of today’s Chinese Bibles and Christian literature.) Pastor Xi made this the core principle in all of his preaching and missionary outreach to his fellow countrymen. Indeed, Pastor Xi’s undivided devotion to missionary work and opium relief efforts in northern China earned even the respect and admiration of Hudson Taylor himself, so much so that during the latter’s maiden visit to Shanxi in 1886, he personally met and reaffirmed the great Chinese pastor’s position as supervising pastor of Shanxi. Pastor Xi’s fame also earned him great respect from other CIM missionaries, and he became perhaps the most well-known Chinese Protestant in the 19th century. His death in 1896 was a great loss to the Chinese Christian communities in Shanxi, but the work that he pioneered during his lifetime continued to flourish throughout northern China for the next few years. With that, let us now proceed to the final part of this article. 1. Richard, T., 1878. Forty-five years in China. In: Austin, A., 2007. China’s millions: the China Inland Mission and late Qing society, 1832 – 1905. Cambridge: Wm. B. Eerdmans Publishing Co.
2. Austin, A., 2007. 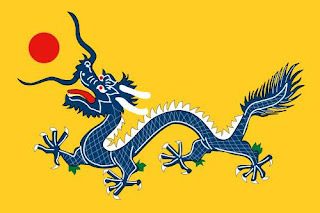 China’s millions: the China Inland Mission and late Qing society, 1832 – 1905. Cambridge: Wm. B. Eerdmans Publishing Co.